Every photographer wants the best lenses, but we do not always have the money to buy new. 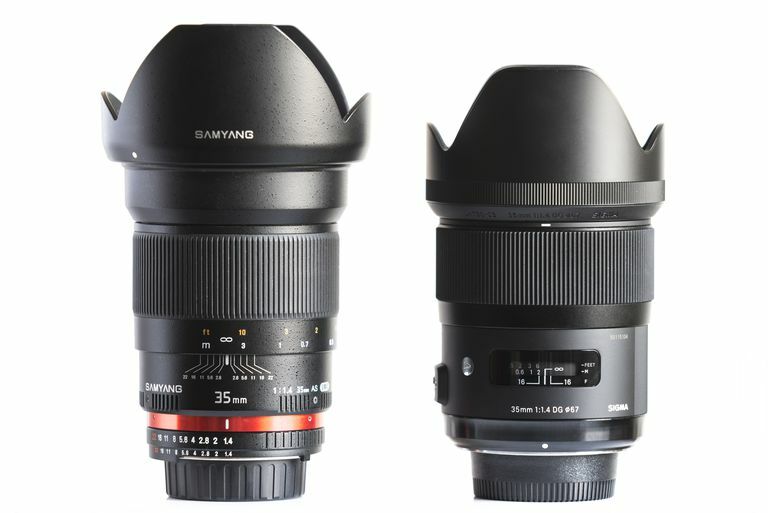 Some fantastic used camera lenses can be found for DSLR cameras if you know what to look for. It does not matter if they are just starting out or have been shooting as a pro for years, all photographers know the value of a good lens. While there are some bargains to be had in the full-price market, pro-quality optics are never cheap. As well as this, there seems to be a never-ending list of lenses we really "need" to have! A solution to all this is to look into buying second-hand lenses. Buying used camera lenses for your DSLR is a far cheaper option for most photographers. To do this successfully, however, you need to know what to be cautious of and what to look for when shopping around. Use these tips for buying used camera lenses to have a successful buying experience. Don't be put off by scratches and dents on the outer casing. A sturdy professional lens is built to last, and it is built to be used. Marks and knocks just mean that it has had a life, and you shouldn't disregard it because of its outer appearance! Examine the outside of the lens for evidence of it having been dropped. This would produce some fairly serious dents! If the lens has a filter, take it off to see if the lens has any uneven edges. Take some test shots and examine them -- a dropped lens will often produce shots that are completely out of focus. Move the barrel around and make sure the elements do not wiggle. This is particularly important with zoom lenses because, after extended use or a drop, the inner elements of the barrel can become loose. While it may not affect your photographs today, this could have an impact in the future. Check the contacts on the lens mount for excessive wear and tear and for scratches indicating rough handling when mounting the lens. Look through the lens to check for any dust or dirt on the internal elements. Dust on the outside of the lens can be cleaned. Dust, dirt, and even mold on the inner elements require a professional technician to remove and unless this is a very valuable lens, it is probably not worth it. And finally (and most importantly) check the front and rear elements for scratches. The rear element is most important because any scratches on that will show up on your photos. Switch the lens to manual focus and twist the focusing ring back and forth to listen for any "grinding" noises or a feeling of grittiness. If the ring does not move freely, this could cause problems for the camera focusing correctly. Switch the lens to autofocus mode and listen for any strange noises coming from the motor or the mechanics of the lens. Check that the camera does not struggle to focus. Many photography shops buy and sell used camera lenses, and some will even offer a 1-year warranty or guarantee with the products. The large camera stores have websites that are filled with great used equipment finds. They often use a rating system to let you know the quality of a lens and will note any issues. A reputable dealer like B&H Photo and Adorama will have trained technicians examine every piece of used equipment. Feel free to call them with any questions, they are very helpful. Many people will choose to look for lenses on sites such as eBay, and this too is fine ... as long as the seller is reputable and will accept returns if the lens doesn't match up to its description. Just remember these tips, and you won't go wrong when buying a used camera lens for your DSLR!